You hear about owners feeding it to their underweight or aging horses. You see fellow boarders at the barn scooping it into buckets for soaking. But what is this stuff, and does your horse need it? Beet pulp, a byproduct of the sugar beet industry, has long been a part of equine feed regimens, but that doesn’t mean owners don’t have questions about it. So we’ve compiled your most common inquiries and called on Kelly Vineyard, MS, PhD, research equine nutritionist at Purina Animal Nutrition, and Kristen M. Janicki, MS, PAS, an equine nutritionist based in Nicholasville, Kentucky, to provide some answers. 1. What does beet pulp do for a horse? 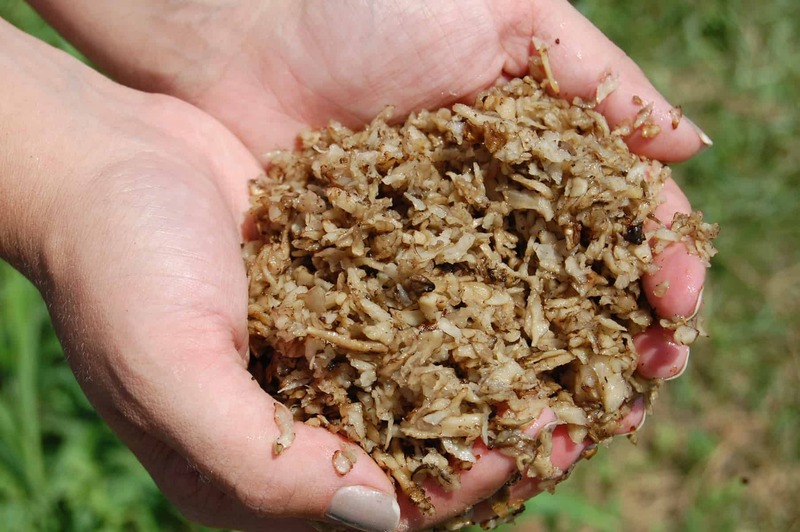 Beet pulp is a low-cost, highly digestible form of fiber (greater than or equal to that of most hays) that offers many nutritional benefits for horses. The microbes in the horse’s hindgut can easily ferment and use it for energy production, Vineyard says. Vineyard says the fiber in beet pulp also absorbs and holds water well, making soaked beet pulp an efficient way to increase a horse’s water consumption. 2. What types of horses might benefit from consuming beet pulp? A fiber source for horses with poor teeth. “Soaked beet pulp makes a good forage substitute because it is easier to chew than long-stem hay,” Vineyard says. A forage extender during hay shortages. A digestive health aid for horses experiencing digestive upset. A method of adding body condition to a hard keeper. “Replacing an equal amount (in weight) of hay with beet pulp will result in weight gain due to its higher calorie content,” Vineyard says. 3. How do you know what amount of beet pulp to feed? How much can I substitute for other feedstuffs? The amount you feed depends on its purpose in the horse’s diet (whether you’re supplementing or replacing grain and/or forage). Janicki notes that researchers have safely fed up to 55% of a horse’s total ration in beet pulp—that’s equivalent to approximately 12 pounds of dry beet pulp per day for a 1,100-pound horse! “However, care should be taken when feeding more than 2-3 pounds/day of beet pulp that the overall nutrient balance of the diet is not disrupted due to some of beet pulp’s nutritional deficits (we’ll describe these in a bit),” Vineyard cautions. Regardless the amount you feed, always weigh it first. Introduce beet pulp into the diet slowly, Janicki says, and increase the amount gradually depending on the individual horse and desired body condition. 4. Does it matter whether you feed shredded or pelleted beet pulp? The two forms of beet pulp on the market are shredded (available with or without molasses) and pelleted (typically containing a small amount of molasses to help bind the particles). Both forms are safe for horses, but the shreds tend to soak up water faster than pellets, Vineyard says. “Molasses content may be a decisive factor in choosing the form of beet pulp to feed, especially with horses needing a low-sugar diet (as with IR) or a low-potassium diet (e.g., horses with hyperkalemic periodic paralysis or HYPP),” Janicki says. 5. Must beet pulp be mixed with other feeds? “Beet pulp can be treated as any other forage ingredient,” Vineyard says. “It can be fed alone or along with the grain ration, depending on what makes the most sense for a particular horse and management situation.” Janicki says it’s palatable enough, however, that most horses consume it readily without additives. 6. What if I’m trying to add beet pulp to my horse’s diet and he doesn’t want to eat it? If your horse is a picky eater, you can soak his beet pulp or mix it dry with his grain or with a small amount of oil, such as corn or soybean oil, Janicki says. Vineyard suggests that when introducing beet pulp for the first time, do so in small quantities. You might also consider purchasing a molasses-added (“molassed”) variety. 7. Why do some people soak beet pulp? What’s the best approach? Case in point: Feed companies include beet pulp in many grain formulations that do not require soaking prior to consumption. 8. What’s the best way to tell if soaked beet pulp is spoiled? “The amount of time it takes for beet pulp to start to mold is dependent on the environmental conditions and amount being soaked, and the best method to determine this is by smell,” Janicki says. Throw away any moldy, fermented, or sour-smelling beet pulp. 9. What are the best ways to work with soaked beet pulp during cold and hot temperature extremes? Soaking beet pulp can prove troublesome during winter months in freezing temperatures. The first solution is not to store the soaked beet pulp container on the ground. “Usually the coldest temperatures are found lower to the ground, and elevating it might prevent it from freezing,” Janicki says. Also, the pulp absorbs warm water more quickly than cold, so if possible add warm water to the mix to expedite soaking time and reduce chances of freezing, she says. In summer months, on the other hand, soak and store beet pulp in a cool, dry location inaccessible to horses, such as a feed room. To help keep it safe from insects and rodents, find a way to cover the container that still allows for air movement while soaking (e.g., using a hand towel or a flymask). In weather extremes Vineyard suggests feeding smaller quantities without soaking or waiting until just before feeding to add water to the shredded form. “Alternatively, there are commercial feeds that contain a large proportion of beet pulp and do not need to be soaked before feeding,” she says. 10. Are there any negative effects to feeding beet pulp? Nutrient imbalances when feeding large amounts of plain beet pulp without adjusting the rest of the diet accordingly. 11. Do I need to balance beet pulp with other cereal grains? Although beet pulp is a valuable feed ingredient, it falls short in several areas as a “standalone” feed, Vineyard says. For instance, beet pulp contains, on average, 10% crude protein. “This should be taken into consideration when balancing the total diet for protein, especially in young, growing horses when specific amino acids, such as lysine, are required for proper growth and development,” Janicki says. 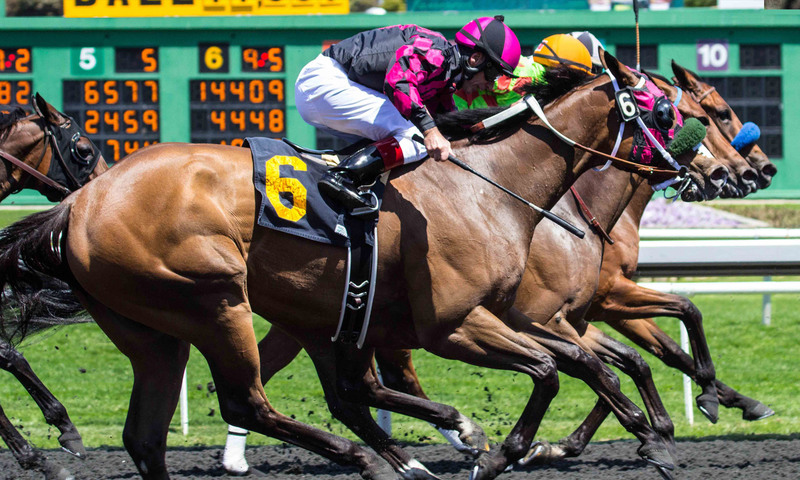 Vineyard suggests ensuring additional sources of high-quality protein are available to growing and performing horses. Further, beet pulp’s calcium to phosphorus ratio is 10:1 (the recommended ratio is 2:1). “If the low phosphorus content of beet pulp is not accounted for, developmental and other serious problems can occur,” Vineyard says, especially in growing animals. To keep the optimal ratio, Janicki says owners must feed beet pulp with grains or provide a supplemental source of phosphorus in the diet. She says you also need to add such a phosphorus source if you feed beet pulp along with legume hay (such as alfalfa), which has higher calcium levels than grass forages. A hay analysis will help you determine nutrient content, and an equine nutritionist can advise you on balancing your horse’s ration. Finally, Vineyard says beet pulp is a poor source of trace minerals and contains low levels of antioxidant vitamins A and E. “In a diet that contains a significant proportion of beet pulp (more than 2-3 pounds per day), having a ration analysis performed will help determine the best way to balance the overall diet,” she says. Alexandra Beckstett, Managing Editor of The Horse and a native of Houston, Texas, is a lifelong horse owner who has shown successfully on the national hunter/jumper circuit and dabbled in hunter breeding. 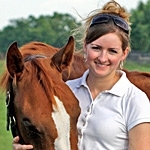 After graduating from Duke University, she joined Blood-Horse Publications as Assistant Editor of its book division, Eclipse Press, before joining The Horse.